Behind the secret door of a seemingly ordinary canteen lies Camp—a brand new generation of toy store in NYC’s Flatiron District. For a long time, traditional toy stores have struggled to stay alive due to their uninspiring model of having customers shop in sterile, icy warehouses—especially when paired with poor customer support, if any. Modern customers are attracted to building relationships with brands and being part of the story. No breadth of inventory these days can overcome the lack of customer engagement. Camp wanted to try something new. Not only did they want customers to have the latest and greatest merchandise but also to be part of the retail space’s narrative. At Camp, customers are encouraged to roam, play, and interact with the environment and staff. They believe that the retail experience should be a dialogue between the space and its users. And that is exactly what we set out to make. OkiDoki and I teamed up to transform Camp’s 10,000 square-foot space into an intricate labyrinth of play. 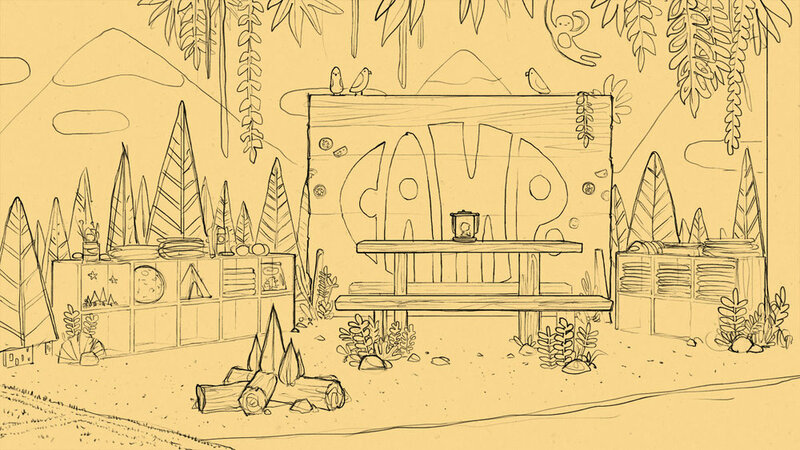 We wanted to create, from the ground up, a shopping experience that takes kids and parents back in time to a far away land of complete camp nostalgia. Camp opened its doors on December 15, 2018. Taking on this 10,000 sq foot behemoth. We started with the blueprint and extruded up—every square-footage counts. All things start rough and become more refined as the vision slowly—sometimes, but rarely quickly—solidifies. Then we focused on areas of interest within the store and detailed them out. 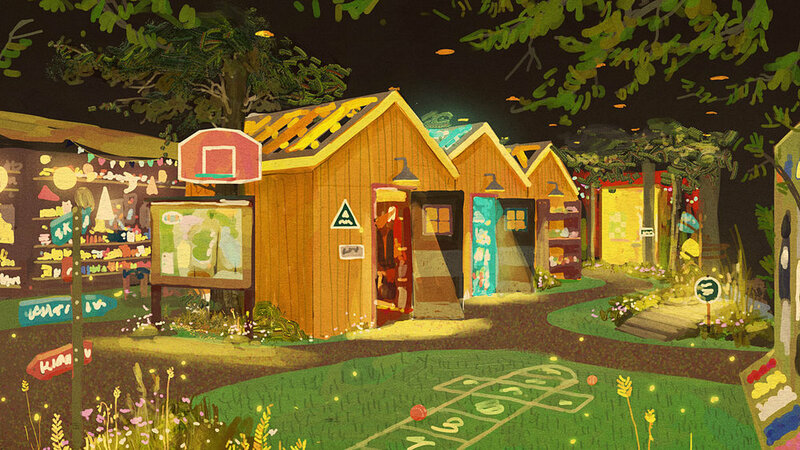 An indoor forest with dappled lighting and hidden toys? Yes, please. How do we disguise fixed elements (like columns) of the space, stay within theme, and display merch? Figuring out where we can store and display merch was a challenging problem—numerous design factors to consider. And ground level? How can we get creative with low-height merch displays? Mid to high level movable shelving designed to be accessed from all sides. Building low-poly 3D models for previsualization— considering textures, materials, smells, sounds, and ergonomics of the objects. From concept to 3D to the real deal. Letting kids do what they do best. A space to play, make mistakes, and get messy. How about an indoor lake adjacent cabin of secrets?